A key concept in STEM is the idea of composing models on top of other models. 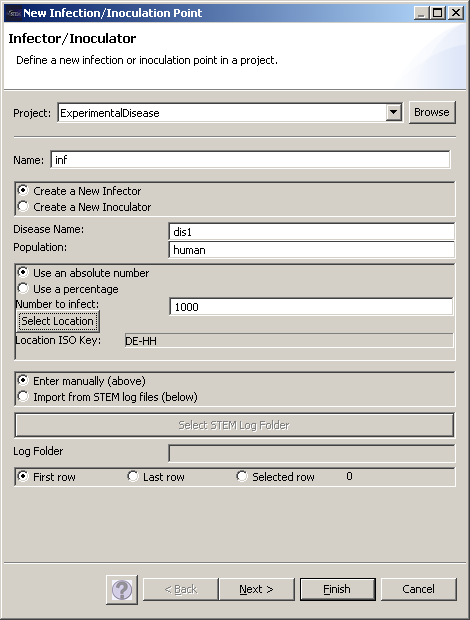 A model in STEM is simply a container for graphs (containing nodes, edges and labels), decorators such as disease models or population models and other models. As an example, a (mathematical) model of a disease depends on having denominator data such as population data, spatial data (e.g. cities in France), and how cities are connected via common borders, road transportation networks and air transportation. 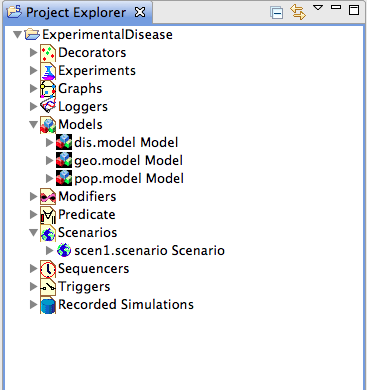 When something "depends" on something else in STEM, we use nested models to represent such dependencies. 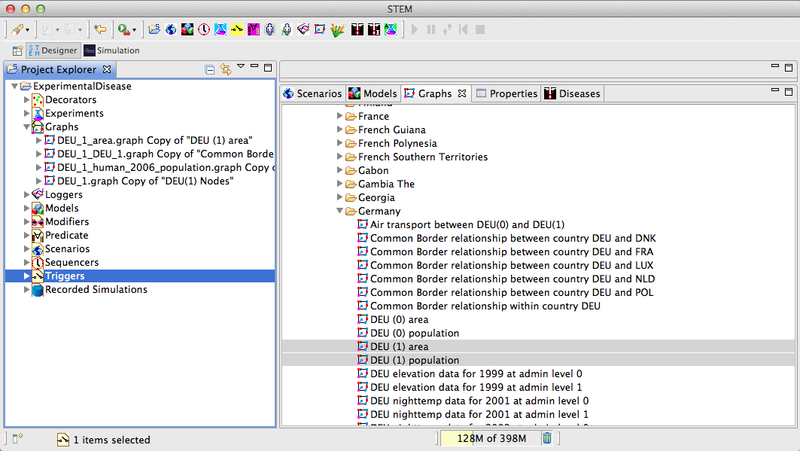 A scenario in STEM has a single model (root model if you like) that contains nested models underneath. Deepest down in the model tree you put static data such as graphs containing geographic information (regions with area information and edges representing common borders) and demographic data such as human population counts. 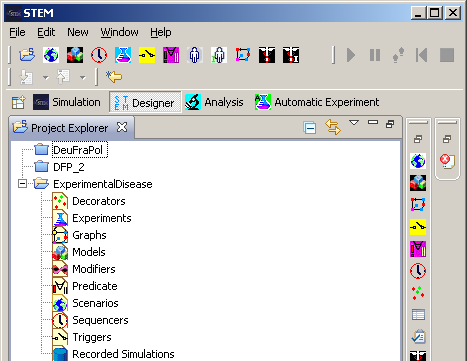 This is also where you can place "Population Initializers" to create initial populations any type, e.g. animals. 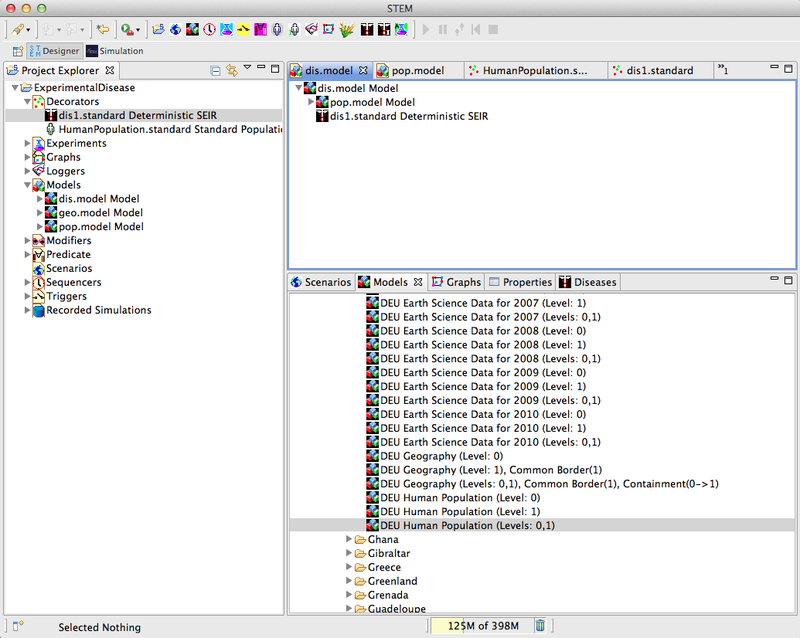 On top of this (in the parent model), you can put a mathematical population model describing how the human population changes each time step of the simulation. 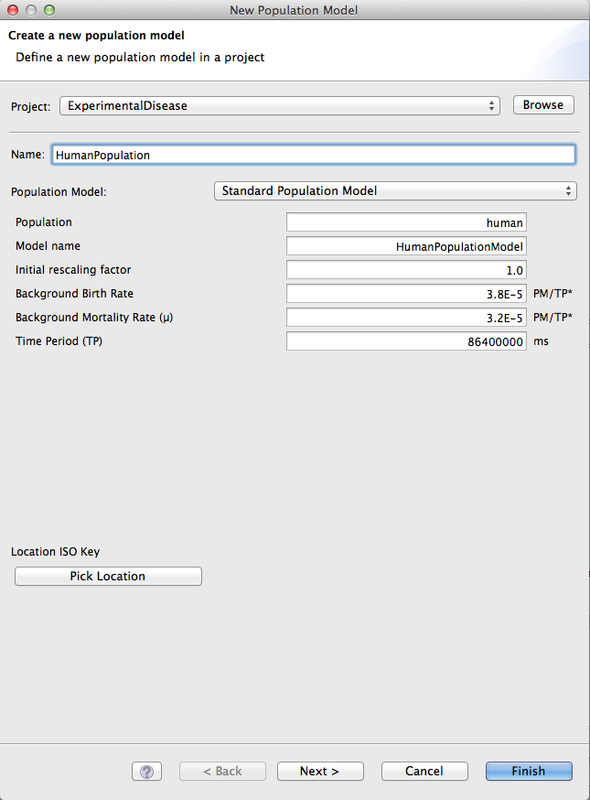 The population model creates the place holders (label and label values) it needs to keep track of the population in each region, and it can also rescale the population initially if needed. This is useful when the population data in STEM (which typically comes from publicly available census data) is not up-to-date with current numbers. On top of the population model (in its models' parent model), you put mathematical models for diseases. 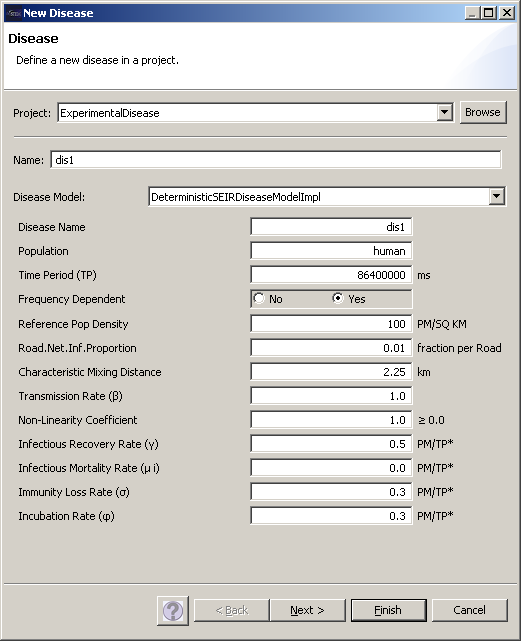 Since a disease depends on the initial population numbers calculated by the associated population model (with matching population identifier, e.g. 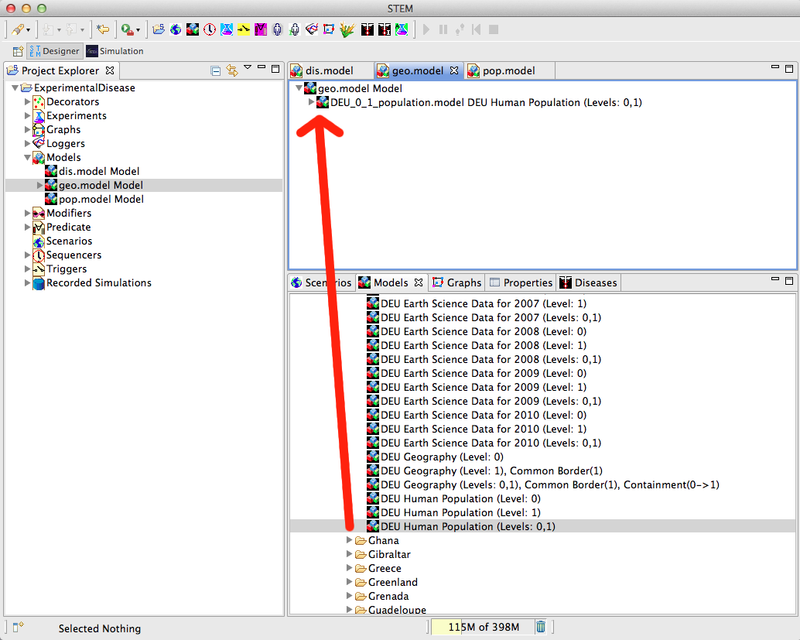 'human'), it needs to be higher up in the model tree. Finally, above this or in the scenario itself, you create infectors, inoculators or initializers that determines the initial state of the disease (i.e. now many people to infect and where, or what is the background herd immunity). 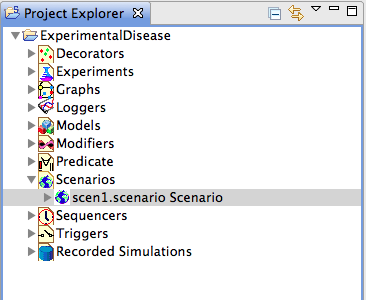 The Models view and the Graphs view (typically located in the lower right corner if you are in the STEM designer perspective) contains pre-built graphs and models you can use to construct your scenario. 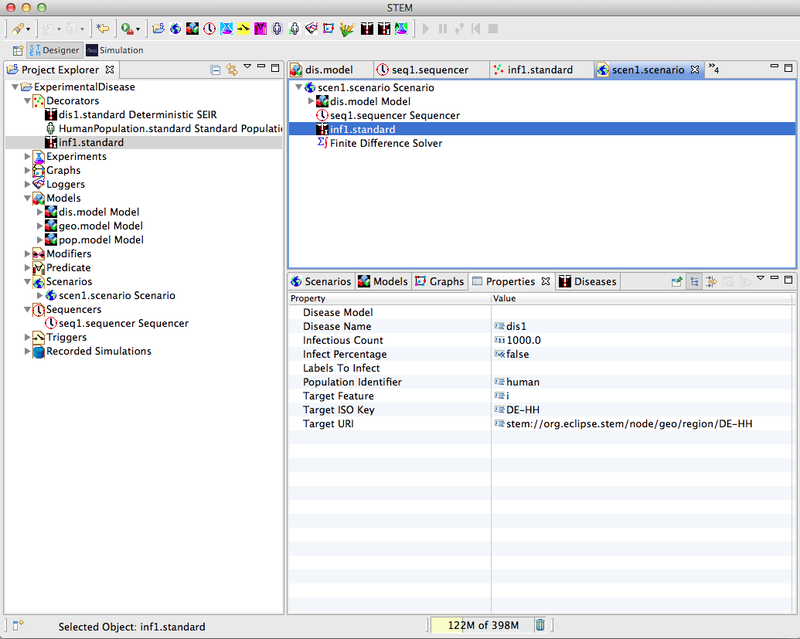 For convenience, the Models view has commonly used models organized by country. 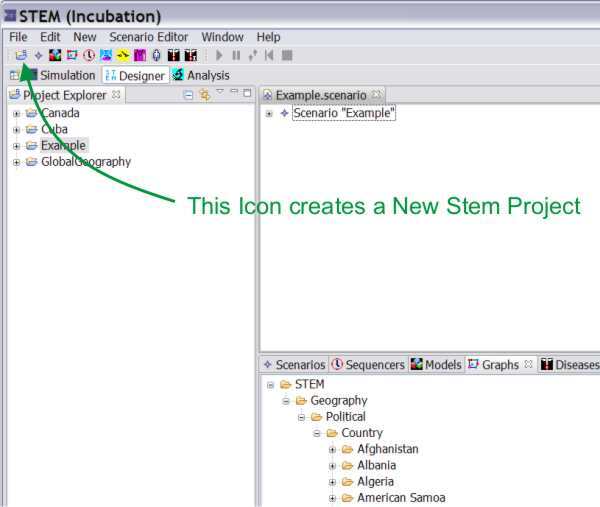 The geographical data and the population data can be imported as graphs from the STEM framework by pulling the graphs from the STEM resources section on the right into the graphs section on the left under Project Explorer. Here we use country-specific data for Germany.